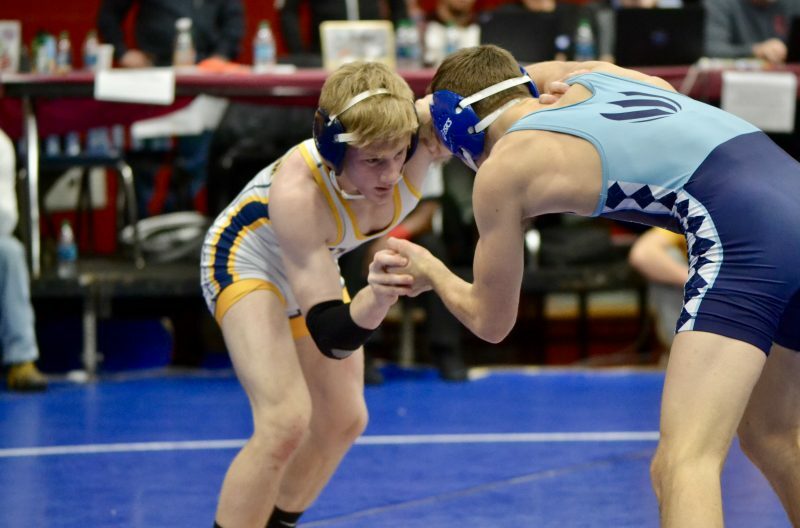 The best part, in my opinion, of the PIAA State Dual Team Championships is the preview of ranked wrestlers going head-to-head a month from the Individual State Tournament in March. We get to see some of the State’s best wrestlers mix it up when teams clash inside the GIANT Center. 2019 will be no different with some potential hammer match-ups in the Championship First Round on Thursday afternoon. In class 2A we could see a #1 vs. #2 meet at 120 pounds when Reynolds takes on Notre Dame – Green Pond. Super Frosh #1 Ryan Crookham could meet former PIAA State Champion #2 Beau Bayless (Reynolds) in what would be a dandy. In Class AAA #1 Dan Mancini (Owen J. Roberts) could see #3 Cam Connor (Kiski Area) and 152 pounds. Those are just a few of the potential meetings between ranked opponents that could go down today. Below is a look at some more!